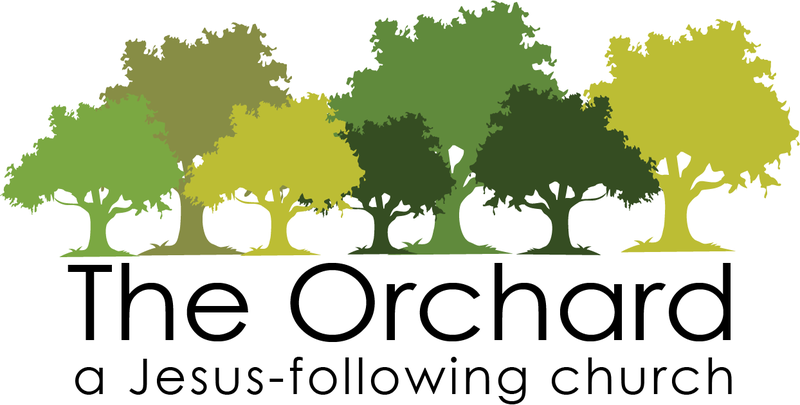 The Orchard doesn’t have a senior or lead pastor as many other churches do. To some people this might seem a little odd. Why don’t we have a senior pastor? It might be helpful to look at this question from a slightly different perspective: Why should a church have a senior pastor? Specifically, is there any biblical basis for this special leadership role in the church? Suppose we set out to find the biblical teaching on senior pastors. So we grab our handy concordance and look up every reference in Scripture to senior pastors or pastors in general. Imagine our surprise to find no mention of senior pastors in the Bible, and only one place where the English word “pastor” is used at all. That’s it! No passages describing the “pastor” of a church, or directly addressing pastors. It would be confusing, to say the least. But we don’t give up yet! We resolve to dig more deeply into the original languages. The Greek word translated ‘pastors’ in that single reference (Ephesians 4:11) is poimēn. We find that, unlike the English word ‘pastor,’ poimēn is used 18 times in the New Testament. It’s translated ‘pastor’ only once; the other 17 times, it’s rendered ‘shepherd.’ This makes sense to us. We probably know the English word pastor means shepherd. So now we’re ready to search out what the Bible has to say concerning those who shepherd or pastor the churches. Again, we’re surprised. According to Scripture, the people responsible for the shepherding/pastoring of the church are the elders or overseers of the church. To the elders among you, I appeal as a fellow elder . . . : Be shepherds of God’s flock that is under your care, watching over them—not because you must, but because you are willing, as God wants you to be; not pursuing dishonest gain, but eager to serve; not lording it over those entrusted to you, but being examples to the flock. The reason I left you in Crete was that you might put in order what was left unfinished and appoint elders in every town, as I directed you. An elder must be blameless . . . since an overseer manages God’s household. So it’s the elders of the church who are to shepherd or pastor the church. And, according to 1 Timothy 5:17, the elders of the church are the ones doing the preaching and teaching, not the “senior pastor.” We’re finding that the biblical model of pastoral leadership seems surprisingly different from what many of us have seen in church ministry. The Bible never specifically addresses ‘pastors’ because it usually refers to the pastoral leaders of the church as ‘elders.’ The elders were the pastors of the New Testament church. There is no biblical distinction between an elder, an overseer/bishop, and a pastor of a church. Elder and overseer are different terms for the same church office, and pastor describes the function of these leaders (what they do, i.e. they shepherd the church). Paul and Barnabas appointed elders [plural] for them in each church [singular] and, with prayer and fasting, committed them to the Lord, in whom they had put their trust.
. . . Paul sent to Ephesus for the elders of the church.
. . . To all the saints in Christ Jesus at Philippi, together with the overseers and deacons. Is any one of you sick? Call the elders of the church to pray over you . . . The Bible definitely shows a strong pattern of each individual church being led by a group of leaders. And, again, it never shows one man taking a senior pastor role. We are given accounts in Scripture of elders being appointed, qualifications for elders, and instructions given directly to elders. But with all the issues the churches were facing, and all the letters being sent to the churches, we don’t have even a single letter sent to “the pastor” of the church in Corinth, or Ephesus, etc. From our modern perspective, that’s a pretty shocking absence. We have no account of the appointment of a senior or sole pastor, no qualifications for a senior or sole pastor, and nowhere is “the pastor” of a church directly addressed. If we are going to designate one leader as the pastor of a church, in distinction from the other elders, the burden is on us to show how this is scriptural. As pastor and author Alexander Strauch has pointed out, the Bible gives us far more information concerning the plural leadership of the church than it does many other important teachings, such as baptism and communion. Can we ignore it? By using different terms interchangeably for the same church office, Scripture demonstrates it isn’t the name of the leadership position that’s important but the nature of the leadership role. Whether we call these leaders elders, overseers, bishops, ministers, or pastors, the important thing is we’re following the biblical model of church leadership by a council of leaders with no leader promoted to authority over the rest. To help everyone understand the pastoral nature of this leadership role, here at The Orchard we use the term pastors to refer to our pastoral elders. It might be encouraging to learn that we’re not alone in seeing these discrepancies between common traditional models and the scriptural pattern. Pastors and scholars have been discussing these issues throughout much of the history of the church. The consensus among an overwhelming majority of biblical scholars and church historians is that the first century church was led as we discovered above. And more churches every day are committing themselves to applying these New Testament principles of church leadership. One last point: we find it very compelling that the only use in Scripture of the Greek word for a chief or head pastor (archepoimēn) is used specifically of Christ in 1 Peter 5:4. We need to be wary of encroaching on the authority of our Lord. The body has only one Head; the kingdom has only one King. The elders/pastors of a church are merely under-shepherds who look to the Chief Shepherd of the flock for his will concerning his sheep. Like good sheepdogs, we don’t draw the sheep after us; we direct their attention continually to the Shepherd. Our prayer is that we would be very sensitive to the leading and guiding of our ‘Senior Pastor,’ and that we would be faithful to fulfill his will, for his glory and the benefit of his people.